Among the grapevines of Preston Vineyards, Mother Nature rules. 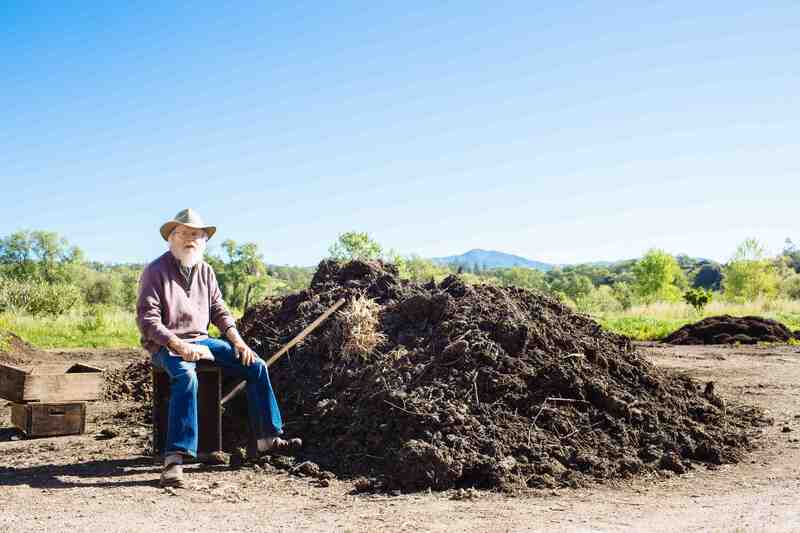 The Dry Creek Valley property is owned and managed by Lou and Susan Preston, longtime organic farmers who were recently certified biodynamic. Meeting the criteria for such purity standards in viniculture means following strict guidelines for both growing the grapes and, subsequently, making the wine. 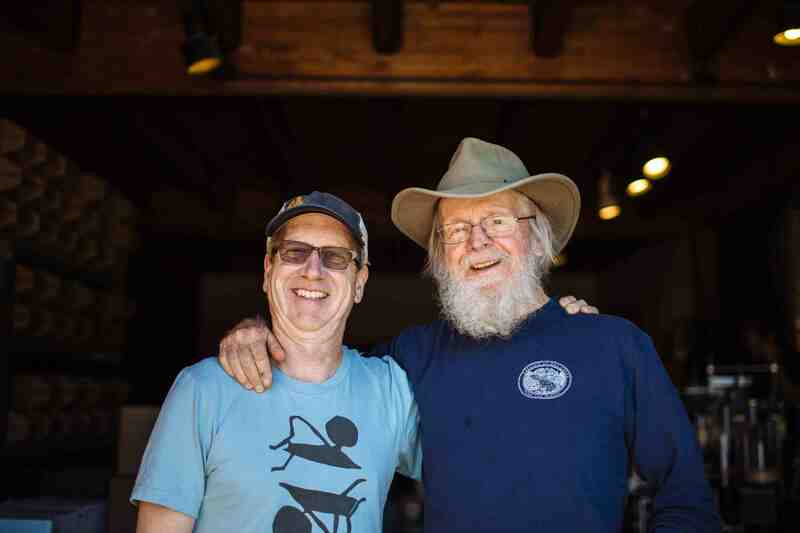 As a general rule, chemical additions are forbidden in the vineyard and winery, and Lou Preston says he uses virtually nothing except grape juice in his wines. Preston says he doesn’t even add yeast, preferring to allow native yeasts to colonize and ferment open vats of freshly pressed juice. In the end, his wines are essentially void of a human fingerprint. 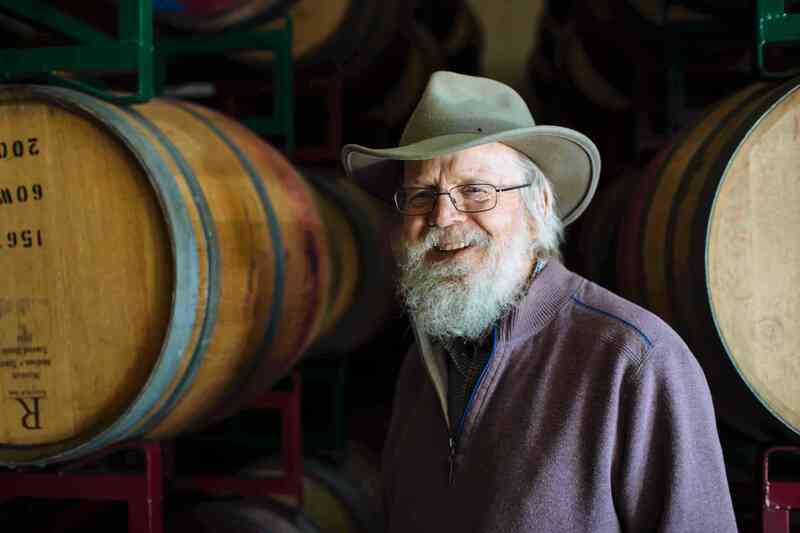 “Wine, to our thinking, should reflect where you grow it, the terroir,” says Preston, a 74-year-old native of San Mateo County who entered the wine industry about 40 years ago. Preston’s philosophy would seem commonplace in the wine industry at large. But strangely enough—Preston’s noninvasive practices are anything but normal. Most wine is made with the help of numerous additives. Coloring agents, egg, dairy, fish byproducts, and a long list of synthetic compounds are all legally—and routinely—used in winemaking. These additives can help give the final product its color, polish, clarity, and glow. In some cases, additives may be used to influence flavor, and through such manipulation, bad grapes can be made into decent wine, and good wine made even better. What’s more, producers are not required to disclose the ingredients, and the methods, they use to make their wine. The regulating U.S. Alcohol and Tobacco Tax and Trade Bureau (TTB) website lists dozens of ingredients that may be added to grape juice and wine, including clay, silica gel, oak chips, milk, and various compound words that end in -ase and -ate. Virtually none must be printed in writing on package labels. The beer industry is also generally exempt from listing ingredients on labels, though in the production of beer, there may be little, if anything, to hide. Sometimes, says Peter Hoey, a brewing instructor for the American Brewers Guild, zinc is added to a beer as a yeast nutrient to assist in fermentation. Later in the production process, a seaweed derivative called carrageenan, or Irish moss, may be used to help clarify the beer. Isinglass, made from the swim bladders of certain fishes and often used in wine production, may also clarify beer. These agents have at times generated backlash from writers and beer consumers. “But if the carrageenan is doing its job, it will drop out of the beer after bonding with proteins, and it isn’t actually in the bottle at the end,” Hoey says. While traditional brewing ingredients—namely water, grains, hops and yeast—are not required to be named on the product package, additional ingredients usually are. “If you were going to make a blueberry IPA, you’d have to say ‘ale brewed with blueberries’ or ‘with blueberry flavor,’” says Hoey. Tom McCormick, executive director of the California Craft Brewers Association, says most beer is made with no more than half a dozen ingredients, and often just the expected four: Water, barley, hops, and yeast. While some craft breweries opt to name ingredients on their bottle labels, McCormick points out that the voluntary nature of such ingredient lists means they may not be comprehensive. Of traditional beer ingredients, hops may be the most iconic. They are to the craft beer culture almost as grapes are to wine. Many breweries grow hops onsite, and the flowers even grow on vines. Hops come with varietal names—like Cascade, Centennial, Chinook, and Amarillo—that often dominate the front labels of IPAs. Brewers advertise with hops, and consumers love hops. What they most probably don’t realize, though, is that hops often come in a can, as a product called hop extract. A goopy bitter paste, hop extract finds its way into the beers of many, if not most, breweries. You might think it sounds nasty, like an IPA-loving hophead’s bad dream in which all that is good, pure, fresh, and fragrant in the beer world is sacrificed for convenience and quickness. But here’s the scoop on extract: It’s not a bad or even controversial thing. “There is no dark side to hop extract,” says Tony Magee, founder of Lagunitas Brewing Company. Lagunitas first used hop extract just over a decade ago, when the Petaluma brewery added a dollop to a batch of its Maximus IPA. Magee says he liked the effect right away—a cleaner tasting beer without the vegetal, earthy tones that whole and pelletized hops can impart when used in large volume. He explains that whole hops, or even slightly processed hop pellets, can become oxidized over time, which creates off-flavors. Even in the absence of oxidation, Magee says, hops contain trace amounts of sulfur, which in hop-heavy beers have the potential to build up funky aromas. But hop extract, which seeps from hop flowers when they are dunked in liquid carbon dioxide as the compound boils into a gas, is a concentration of all the good stuff in hops. “Extract is just more of what you want,” Magee says. To make hop extract, dried hop pellets are dunked into a chamber containing liquid carbon dioxide. The chamber is then warmed. As the CO2 boils into a gas, the oils and acids in the hop flowers seep out. CO2 hop extract should not be confused with several other types of isolated hop essence. One is made by boiling hops in water to make a sort of bitter hop tea. Another is made by soaking hops in alcohol. The oils, resins and acids from the hops are pulled from the flowers, resulting in what is most commonly used as a cocktail bittering liquid. Finally, there is isomerized extract, itself a reduction of hop extract that isolates the various acids in hops. “That’s the only one we find objectionable because it’s a chemically altered product,” Magee says. Vinnie Cilurzo, brewer and owner of Russian River Brewing Company, also vouches for hop extract, which he combines with whole hops and hop pellets when brewing Pliny the Elder and Pliny the Younger, his most popular beers and arguably the most acclaimed IPAs in the world. He echoes Magee’s sentiments: Beers taste cleaner when some fraction of the hops are made with extract. The rules governing alcoholic drinks and the labels that go onto their packaging are almost painfully complex. Some wines, distilled spirits, and malt beverages are regulated by the TTB rather than the Food and Drug Administration, which enforces food-labeling laws. However, beer-like drinks made primarily from barley malt substitutes—like sorghum and rice—fall under FDA labeling laws. Wines containing less than 7 percent alcohol by volume also are subject to FDA regulation rather than TTB. Cider, for whatever reason, is regulated as wine, though which agency regulates cider production and distribution depends on how much alcohol is in the final product. Ciders with less than 7 percent ABV are considered “low-alcohol wines” and are subject to FDA purview. As a result, we see “nutrition facts” and ingredient lists on lower-alcohol ciders. State laws sometimes require labeling details in addition to those required by federal agencies. Through such a tangle of sticky legal spider webs, the wine industry has wriggled its way out of any obligation whatsoever to tell consumers what has been used to make a wine, with one exception: Sulfur dioxide, which can prompt adverse reactions, particularly to those who suffer from asthma. Any wine containing more than 10 parts per million of SO2 must print a notification on the bottle. A winery can print “sulfite-free” on its labels if testing finds no detectable sulfite levels. “Contains no added sulfites” is a label option for wines with no added sulfites but in which lab analysis finds naturally occurring sulfites. One of the more controversial additives used in the wine industry is Mega Purple, a controversial coloring agent made from concentrated grape byproduct by the wine conglomerate Constellation Brands. Depending on who’s speaking, it’s either an industry-wide norm or no one does it. The trouble is, whatever the truth, there is almost no way to know, thanks to the lax labeling laws of winemaking regulations. Cider makers straddle an unruly regulatory line that shifts unpredictably year to year. That’s because cider, like wine, can ferment to anywhere within an approximate range of alcohol content— usually from about 6 to 9 percent, depending on various nuances of the season’s climate. Warmer weather during the growing season means more sugar in the fruit, and more alcohol. That natural alcohol range happens to fall smack on top of the 7 percent level. Thus, in a warmer year, higher-sugar fruit might ferment into a TTB-regulated wine. In a cooler year, the same orchard may produce an FDA-regulated low-alcohol “wine.” In effect, nuances of weather have major implications for product labeling. Jolie Devoto, co-owner of Golden State Cider in Sebastopol, says TTB labels are simpler to abide by. The reason isn’t obscure. “Because you don’t have to list the ingredients,” Devoto says. Most of her ciders fall below the 7 percent alcohol level and within the purview of the FDA, and Devoto says she would like to see all alcoholic beverages regulated so that complete labeling of ingredients is required. Preston says he understands the purpose of using additives to fine-tune a wine. “If the goal of the wine industry is uniformity, consistency, then there is the impetus to adjust for certain qualities using additives,” he says.